The Wheeled Adjustable Height Lectern Podium is a mobile presentation station that easily changes height based on the presenter. 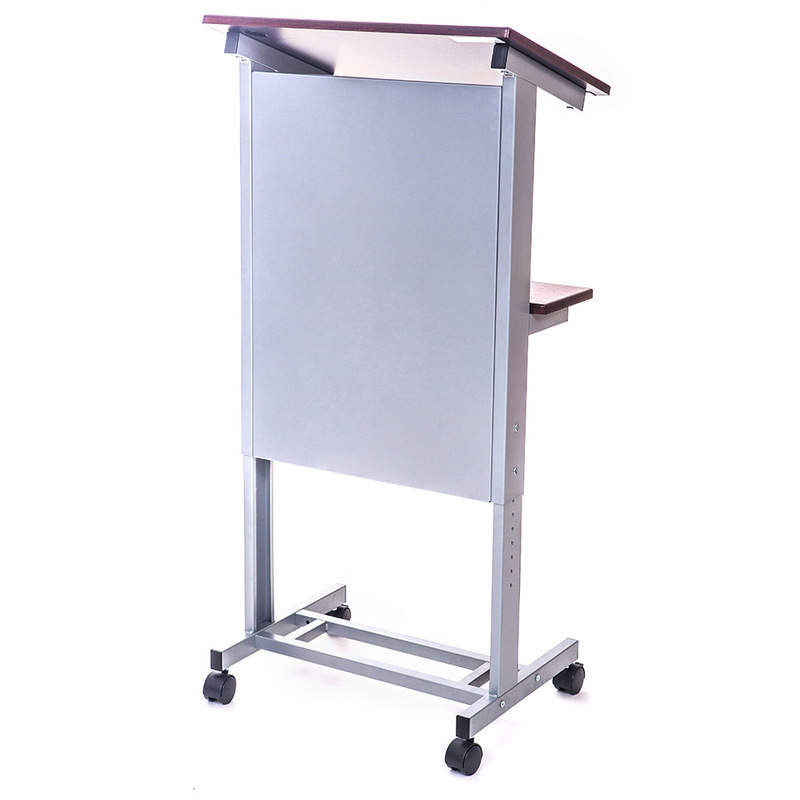 With a heavy duty steel frame and wood laminate shelves, this adjustable height podium is built to last, while 2″ furniture casters, two with locking brakes, allow it to be quickly moved from room to room. The 23.5″ wide x 15.5″ long presenters shelf has a 17-degree angle with a paper-stopping lip to keep notes in place. The Wheeled Adjustable Height Podiums quality construction, easy assembly, and user-friendly design will meet the needs of any customers looking for a presentation solution.